January 25 marked the one-year anniversary of the inception of Egypt’s revolution against the dict..
“We want democracy, but one constrained by God’s laws. 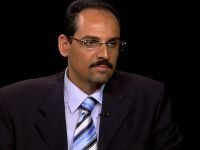 Ruling without God’s laws is infidelity..
PBS Interview with Shadi Hamid: Why Is America Reaching Out to Egypt’s Muslim Brotherhood? As the final results of Egypt’s parliamentary elections come in this week, the country’s Islamis..
2012 comes with numerous opportunities for the Muslim world. For the first time, many Arab countries.. The Turkish Example: A Model for Change In the Middle East? Democracy: One of the Objectives of Shari`ah?